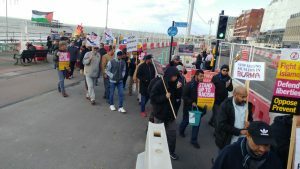 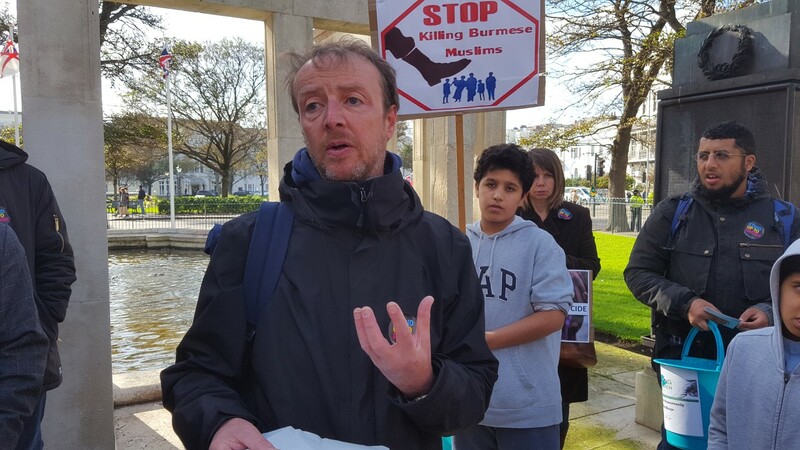 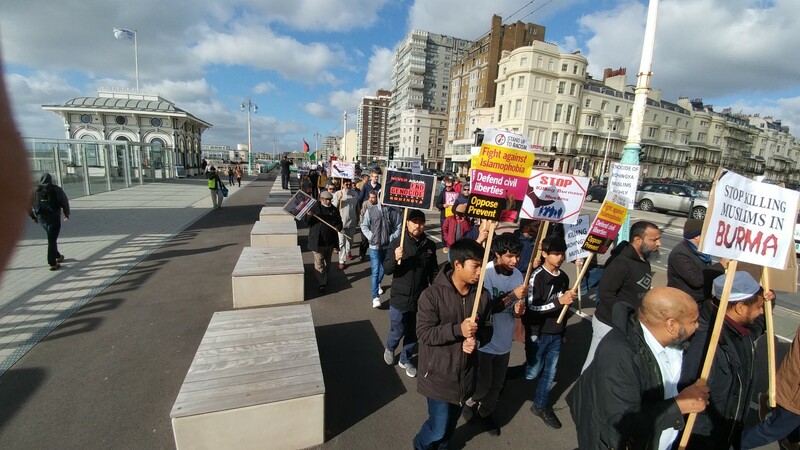 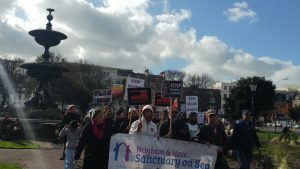 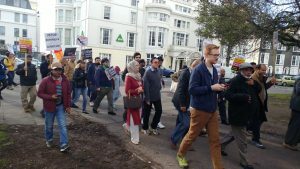 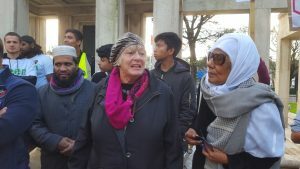 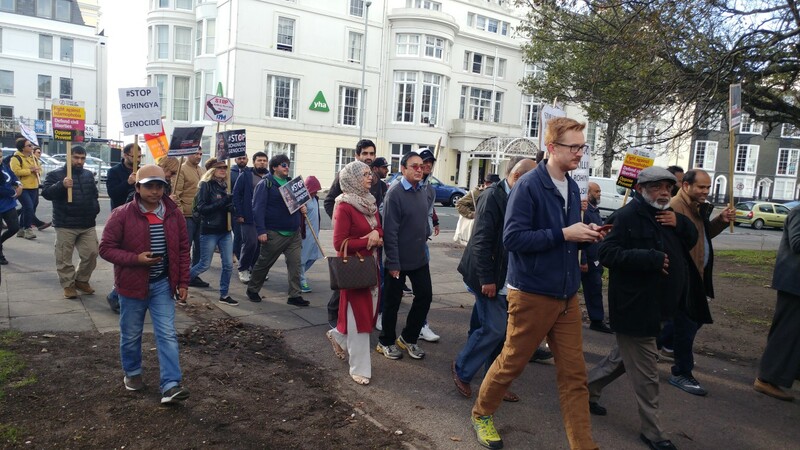 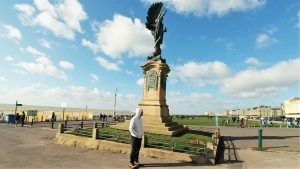 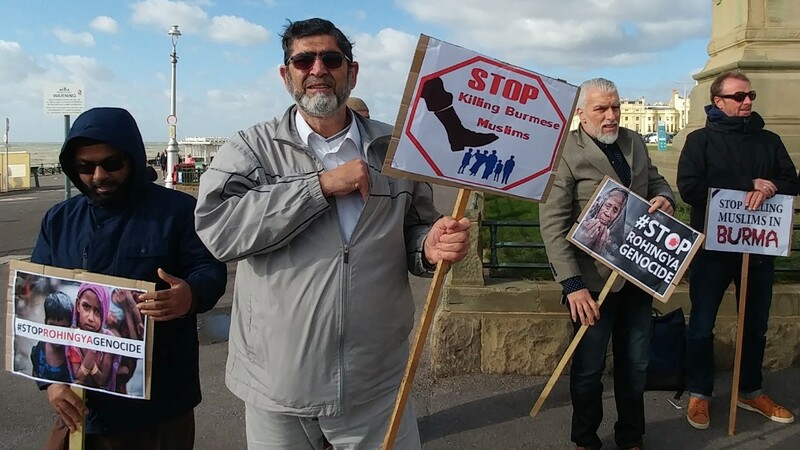 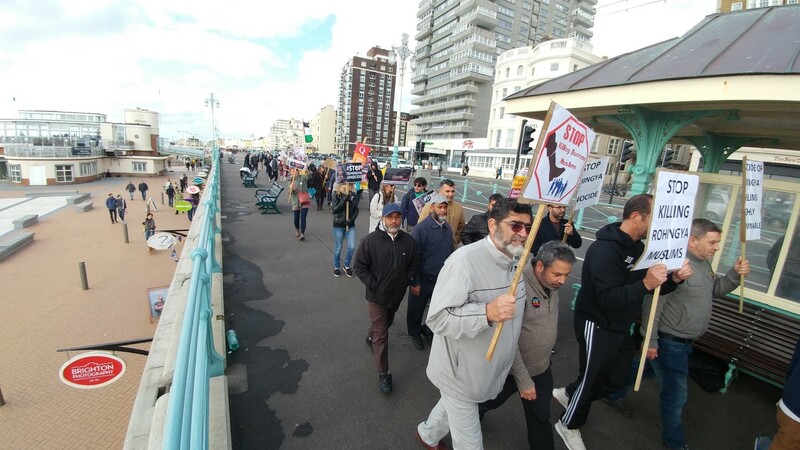 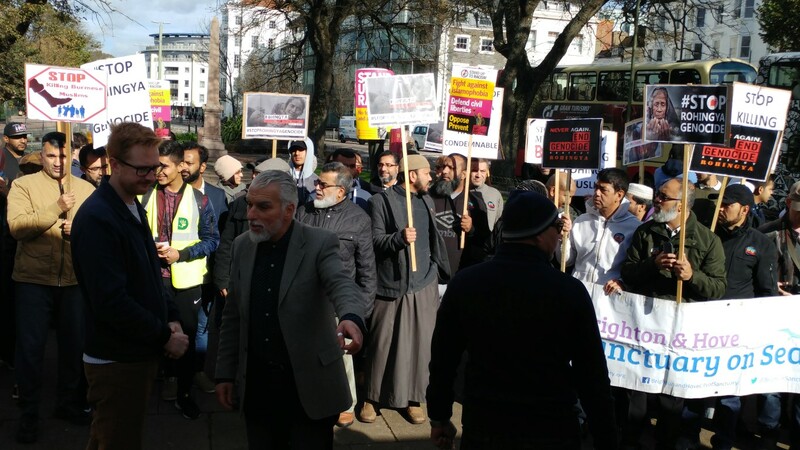 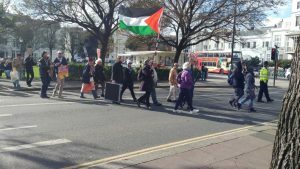 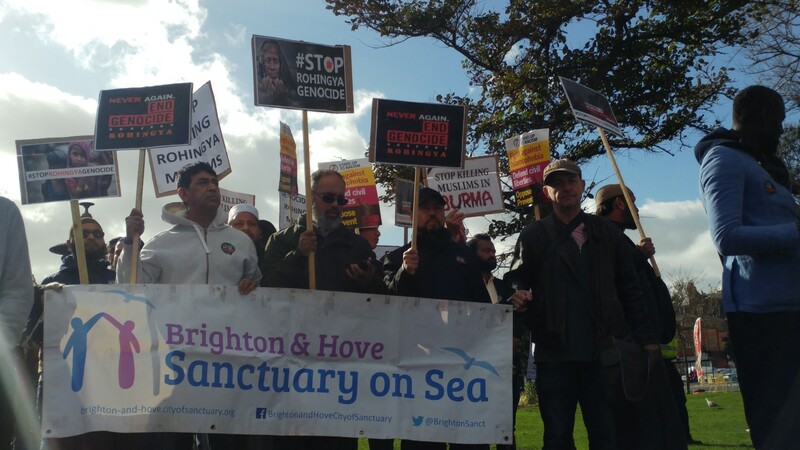 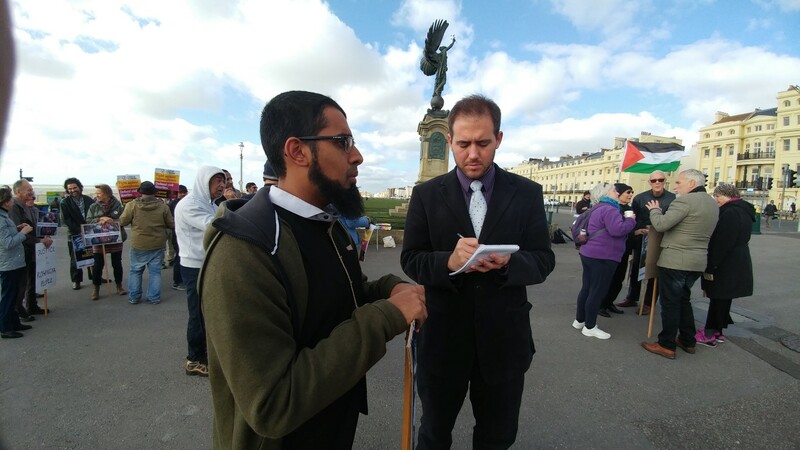 The Muslims of Brighton and Hove had arranged a peaceful march on Sunday, 22nd October 2017 in solidarity with the Rohingya Muslims. The march began at 12pm midday from the Peace statue and ended at the Level. 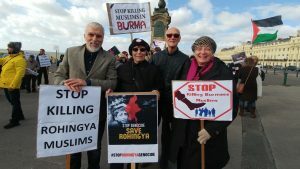 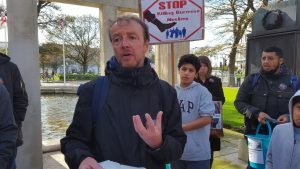 Marchers were aware of the huge genocide problem the Rohingya people are facing. 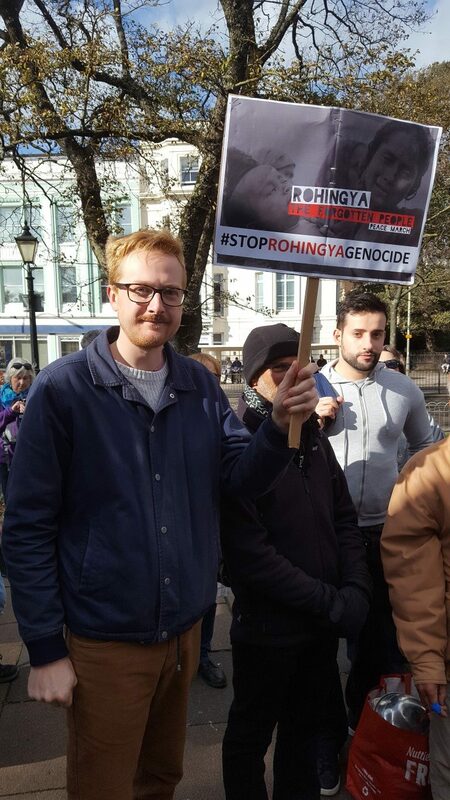 Much of the atrocities have been recorded and these include having parts of their bodies hacked off, babies being thrown unto a fire and being buried alive. Many groups brought their own banners. 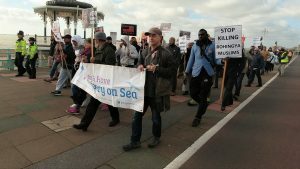 It was agreed to march quietly as a mark of respect for those who have lost their home and others who have been murdered in brutal ways. 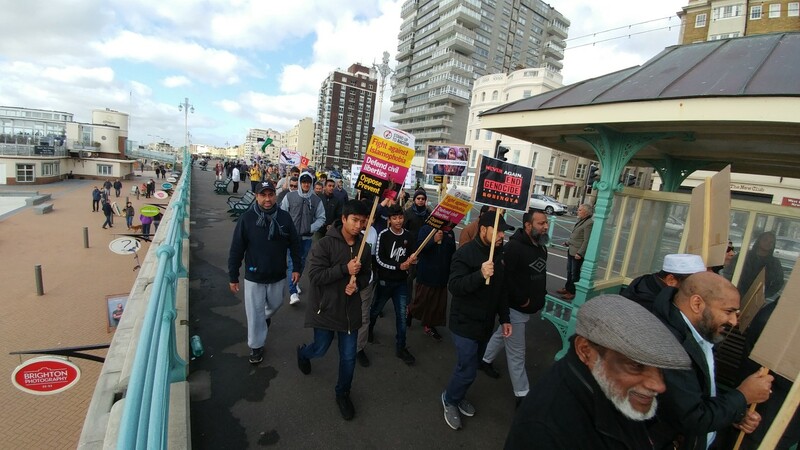 The route was agreed with the police and tried to limit any disturbance to the local community or those who are visiting our city. 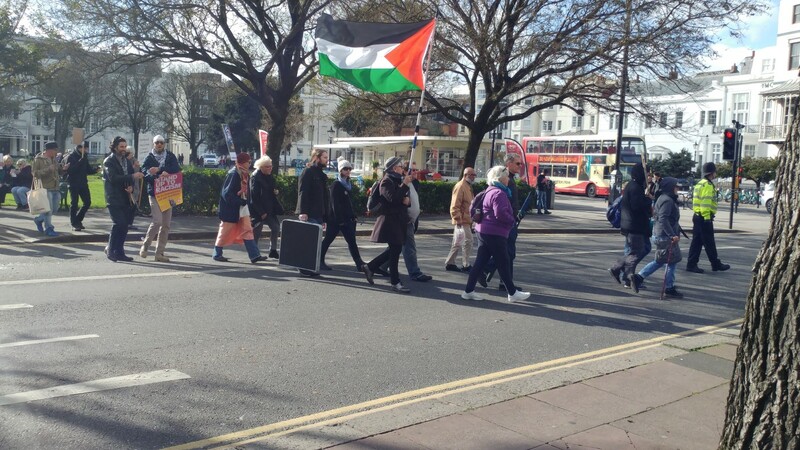 Caroline Lucas MP was unable to attend but sent a message that was readout.